Highlights of the Sky Bet League Two game between Carlisle and Swindon. 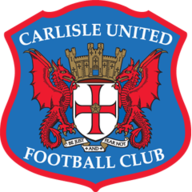 Luke Norris and Paul Mullin scored either side of half-time as Swindon won 2-1 at Carlisle in Sky Bet League Two. 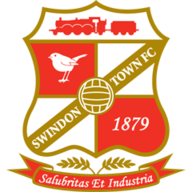 The hosts were slow to find their rhythm as Swindon had the better of the early exchanges, with Norris and James Dunne providing early tests for goalkeeper Jack Bonham. However, Jamie Devitt was unlucky not to give Carlisle a 26th-minute lead with a shot which crashed against the post. The visitors went in front in the 31st minute when Chris Hussey's searching free-kick found Norris, who headed home from close range but injured himself in the process. Swindon added to their lead three minutes into the second half when Bonham parried a powerful drive by John Goddard, but could not prevent Mullin from converting the rebound. Carlisle needed to strike back quickly and it was Luke Joyce who netted in the 55th minute, steering a shot inside the upright from the edge of the area. Lawrence Vigouroux's late save from Nicky Adams enabled Swindon to hold on and provide David Flitcroft with the win in his first competitive game in charge.